An 8-week feeding trial was conducted to study the effect of dietary supplementation of a biofloc powder on growth performance and non-specific immune response of Litopenaeus vannamei. Seven experimental diets were prepared with supplementation of graded levels of dried biofloc powder by 0, 0.5, 1.0, 2.0, 4.0, 6.0, and 8.0% (designated as Con, BF0.5, BF1, BF2, BF4, BF6, and BF8, respectively). Triplicate groups of shrimp (1.01 ± 0.01 g) were hand-fed with one of the diets four times a day. At the end of the feeding trial, significantly (P ˂ 0.05) higher growth performance and feed utilization were obtained in BF4 groups compared to those fed the Con diet. The innate immunity of shrimp was improved by the dietary supplementation of biofloc. Dietary inclusion of biofloc at the level of 4.0% significantly increased disease resistance of shrimp against Vibrio harveyi. The results indicate that biofloc might be used as a dietary supplement for growth performance, innate immunity and disease resistance of Pacific white shrimp. Diseases caused by infectious microorganisms are known to be one of the major constraints in the shrimp aquaculture industry for the past decades (Ekasari et al., 2014). Thus, there is a need to control the disease outbreaks in this sector. A concept of a functional feed is an emerging paradigm in aquaculture industry to develop nutritionally balanced diets with functions to control the diseases and culture water system by feed additives (Li and Gatlin 2004; Lee et al., 2013; Wongsasak et al., 2015). The application of biofloc technology (BFT) in shrimp aquaculture has gained great attention. BFT offers a practical solution to control culture water quality effectively with negligible water exchange and improves shrimp growth performances in the healthy culture environment (De Schryver et al., 2008; Stokstad, 2010; Avnimelech, 2012; Crab et al., 2012; Xu and Pan 2013). The mechanism of the BFT is to reuse excreted dissolved nitrogen by heterotrophic bacteria by controlling carbon and nitrogen ratio in the culture water (Avnimelech, 1999). The biofloc in the BFT system is formed by aggregating many substances such as, other microorganisms, microalgae, zooplankton, and trapped organic particles or solids from uneaten feeds (De Schryver et al., 2008; Crab et al., 2012; Ekasari et al., 2014). It has been demonstrated that the active and condensed microorganisms together with suspended organic or inorganic particles tend to from biofloc, which can be consumed constantly by cultured shrimp as a natural food source (Burford et al., 2004; Wasielesky et al., 2006; Kent et al., 2011). Thus, the biofloc itself provides biomass which is served as nutrients for shrimp especially as a protein source or immunostimulants. Previous studies showed that biofloc had enhanced cellular immune response and antioxidant status of cultured shrimp by its richness in microbes and bioactive compounds (Ju et al., 2008; Xu and Pan 2013). Similar result was found when L. vannamei were fed a formulated 35% crude protein diet in biofloc-based culture tanks for a period of 30 days; however, it is not clear if feeding a relatively low protein diet (35%) with the contribution of biofloc could sustain the health status of cultured shrimp in such systems (Xu and Pan 2013). Jang et al. (2011) also reported that the expression of prophenoloxidase-activating enzyme was significantly increased in the shrimp reared in a biofloc system. Pacific white shrimp is one of the most important shrimp species currently being cultured in many countries. Over the past decade, mass production of L. vannamei has been demonstrated in biofloc-based intensive culture systems under high aeration and negligible water exchange (Avnimelech, 2012; Haslun et al., 2012). Recently, it was demonstrated that dietary inclusion of biofloc had enhanced growth performance of L. vannamei (Ju et al., 2008; Kuhn et al., 2010; Bauer et al., 2012). There is a lack of information to support the role of biofloc in diets on growth and immune response in the species. Hence, to investigate the suitability of biofloc as a dietary supplement, we included it in diets at different levels and fed to L. vannamei. The present study aims to evaluate the effect of dietary supplementation of biofloc on growth performance, non-specific immune response, and susceptibility to bacterial infection caused by V. harveyi in L. vannamei juveniles. The biofloc was collected from L. vannamei BFT tanks. A biofloc suspension was prepared in a 300 ton polypropylene tank (45 × 6.5 m) filled with seawater and stocked with L. vannamei. The C: N ratio was maintained at 15:1 using molasses as a carbon source. Probiotics containing Bacillus subtilis, Lactobacillus casei and Saccharomyces cerevisiae (Total bacterial account = 1 × 106 CFU/mL) were added into the biofloc ponds once a week until enough biofloc sample was collected. Biofloc collection was continued for 12 h with enough and strong aeration in the BFT tanks. During the aeration, sludges (flocs) were formed on the water surface. The collected flocs were rapidly frozen at −80 °C, and then vacuum freeze-dried. The dried flocs were ground into fine powder (<100 μm) and kept in airtight containers in refrigerator until used in experimental diets. Chemical composition of the biofloc powder is provided in Table 1. Seven experimental diets were formulated to be isonitrogenous (400 g kg−1 crude protein) and isocaloric (16 MJ kg−1). A basal fishmeal based diet was regarded as a control and supplemented with biofloc at the incremental levels of 0.5, 1.0, 2.0, 4.0, 6.0, and 8.0% (designated as Con, BF0.5, BF1, BF2, BF4, BF6, and BF8, respectively) at the expense of soybean meal and wheat flour. All dry ingredients were thoroughly mixed in a feed mixer (NVM-16, Gyeonggido, South Korea) and pelleted through a pellet machine (SP-50; Gumgang Engineering, Daegu, Korea). The pelleted diets were dried at 25 °C for 12 h, and stored at −24 °C until used. Formulation and proximate composition of the experimental diets are shown in Table 2. The feeding trial was conducted in indoor shrimp culture facilities at the Marine Science Institute of the Jeju National University (Jeju, South Korea). Juvenile L. vannamei was obtained from NeoEnBiz shrimp farm (Dangjin, South Korea). Shrimps were fed a commercial diet (35% crud protein) twice daily for 10 days to be acclimated to the experimental conditions and facilities. Then, the shrimps (initial mean body weight, 1.01 ± 0.01 g) were randomly distributed into twenty one acryl aquaria of 96 L capacity at a density of 18 shrimp per aquarium. Each aquarium was supplied with filtered seawater and aeration to maintain enough dissolved oxygen. Triplicate groups of shrimp were hand-fed with one of the test diets four times a day at 08:00, 12.00, 16.00, and 18:00 h for 8 weeks. Daily feeding rates were slowly reduced from 10 to 8% of wet body weight during the 8-week feeding period. Water in the aquaria was exchanged every 3-day intervals while inside of the aquaria were cleaned by a sponge to prevent the growth of microflora. A 12:12 h light/dark regime (08:00–19:00 h, light period) was maintained by timed fluorescent lighting. The water temperature was maintained at 28 ± 1 °C, pH ranged from 7.04 to 8.04, and dissolved oxygen was kept above 6.0 mg L−1 and total ammonia nitrogen and nitrite were kept <0.1 and 0.005 mg L−1, respectively. Growth of shrimp was measured with 2-week intervals. Feeding was stopped 16 h prior to weighing or hemolymph sampling to minimize handling stress on the shrimp. At the end of the feeding trial, all shrimp in each tank were counted and bulk-weighed for calculation of growth parameters and survival. Five shrimp per tank (fifteen shrimp per dietary treatment) in inter-molt stage were randomly captured, anesthetized with ice-cold water and hemolymph samples (200 μl) were individually collected from ventral sinus of shrimp using a 1-mL syringe. Then, the hemolymph (200 μL) was filled with an equal volume of anticoagulant solution (200 μL) (Alsever’s solution, Sigma). The molt stage of the shrimp was determined by an examination of uropoda (Robertson et al., 1987). The hemolymph-anticoagulant mixture (diluted hemolymph) was placed in five sterile eppendorf tubes containing equal volume for the determination of the total hemocyte counts (THC) and respiratory burst activity. After the abovementioned measurements with diluted hemolymph, the remained samples was centrifuged at 800×g for 20 min using a high-speed refrigerated microcentrifuge (Micro 17 TR; HanilBioMed Inc., Gwangju, Korea) and stored at −70 °C for determination of phenoloxidase (PO), superoxide dismutase (SOD) activities, total immunoglobulin (Ig) level and glutathione peroxidase (GPx) activity. Analyses of moisture and ash contents of biofloc powder and diet samples were performed by the standard procedures (AOAC, 1995). Crude protein was measured by using an automatic Kjeltec Analyzer Unit 2300 (Foss Tecator, Höganäs, Sweden), and crude lipid was determined using the Soxhlet method with extraction in diethyl ether (Soxhlet Extraction System C-SH6, Korea). A drop of the diluted haemolymph was placed in a hemocytometer to measure THC using an inverted phase-contrast microscope (Olympus, Model CH30RF200, Olympus Optical Co., LTD, Japan). Diluted hemolymph protein content was measured using a microprotein determination method (C-690; Sigma). Oxidative radical production by hemocytes during respiratory burst was measured through the nitro blue tetrazolium (NBT) assay described by Dantzler et al. (2001). PO activity was measured spectrophotometrically by recording the formation of dopachrome produced from L-dihydroxyphenylalanine (L-DOPA, Sigma) following the procedure of Hernández-López et al. (1996). Lysozyme activity was determined following previously described method (Paglia and Valentine, 1967). SOD activity was measured by the percentage reaction inhibition rate of enzyme with WST-1 (water-soluble tetrazolium dye) substrate and xanthine oxidase using a SOD Assay Kit (Sigma, 19160) according to the manufacturer’s instructions. Each endpoint assay was monitored by absorbance at 450 nm (the absorbance wavelength for the colored product of WST-1 reaction with superoxide) after 20 min of reaction time at 37 °C. The percent inhibition was normalized by mg protein and presented as SOD activity units. Ig level was determined according to the method described by Siwicki et al. (1994). Briefly, plasma total protein content was measured using a microprotein determination method (C-690; Sigma), prior to and after precipitating down the Ig molecules, using a 12% solution of polyethylene glycol (Sigma). The difference in protein content represents the Ig content. GPX activity was assayed using a kit (Biovision, Inc., Milpitas, CA, USA). At the end of the feeding trial, 12 shrimp from each tank (24 shrimp per treatment) were randomly selected and subjected to a bacterial challenge. V. harveyi was used as the pathogenic agent (provided by the Marine Microbiology Laboratory of Jeju National University). The shrimp were injected intramuscularly with V. harveyi suspension containing 2 × 108 CFU mL−1 and distributed into fourteen 120-L acryl tanks. The pathogenic dose of bacterium had previously been determined in a preliminary test using similar size of shrimp. After injection, the challenging shrimp was not fed the diets and the mortality was monitored for 19 days. All dietary treatments were assigned by a completely randomized design. Data were subjected to one-way analysis of variance (ANOVA) in SPSS version 12.0 (SPSS Inc., Chicago, IL, USA). When ANOVA identified differences among groups, the difference in means was made with LSD multiple range tests. Statistical significance was determined at P ˂ 0.05. Data are presented as mean ± SD. Percentage data were arcsine transformed before analysis. Growth performance and feed utilization of the shrimp were significantly affected by dietary supplementation of the biofloc compared to those of shrimp fed the Con diet (Table 3). Final body weight, weight gain and specific growth rate of shrimp fed BF4 diet were significantly increased compared to those fed the Con diet. Dietary inclusion of the biofloc to the Con diet at level of 4.0% resulted in significantly higher protein efficiency ratio (PER) and lower feed conversion ratio (FCR) compared to the Con diet. Significantly higher feed intake (FI) was observed in shrimp fed the Con diet than in that fed the BF8 diet. The highest survival rate was obtained in BF0.5 group which was significantly different from other dietary groups. Shrimp fed BF0.5 and BF4 diets showed significantly higher NBT activity than shrimp fed the Con diet (Table 4). Significantly higher PO activity was found in shrimp fed BF6 diet than those fed the Con diet. Significant increment in GPx activity was observed in BF6 groups in comparison to the Con group. Even though numerically higher values of other examined non-specific immune parameters were observed in shrimp fed the biofloc supplemented diets, the differences were not significant (P ˃ 0.05). During the challenge test, the first dramatic mortality was observed on the 13th day after injection and shrimp fed the Con diet showed the lowest disease resistance compared to all other groups (Fig. 1). At the end of the challenge test, significantly higher survival rate was found in BF4 group compared to the Con groups; however, no significant difference was found among other biofloc supplemented groups. Beneficial role of BFT system in penaeid shrimp has well been documented (Hari et al., 2006; Xu and Pan 2012). Recently, it was reported that use of biofloc as a dietary supplement had enhanced growth rate of L. vannamei (Ju et al., 2008; Kuhn et al., 2009, 2010). In the present study, dietary supplementation of biofloc at 4% level significantly (P < 0.05) enhanced growth, PER and FCR in the shrimp. It has been documented that bioflocs are the rich source of many bioactive compounds, such as carotenoids, chlorophylls, phytosterols, bromophenols, amino sugars (Ju et al., 2008) and anti-bacterial compounds (Crab et al., 2010). Thus, the enhanced growth performance of shrimp fed the biofloc containing diet in the current study might be explained by a bioactive or probiotic microbial components, such as Bacillus or Lactobacillus spp. present in the biofloc. On the other hand, biofloc supplementation at 8% level (BF8) did not result in proportionate enhancement in growth rate or FCR compared to those of the Con diet. Kuhn et al. (2010) supplemented a biofloc in L. vannamei diet and recorded significantly higher growth rate at 10 and 15%, but no significant difference at 20 and 30% dietary biofloc inclusion. The present results also agree with those of Wang (2007) and Anand et al. (2013) who reported that increment of dietary probiotic or periphytic algae in shrimp does not proportionally increase growth performance of shrimp. Moreover, reduction in growth of fishes was recorded at high level of microbial supplementation (Kiessling and Askbrandt 1993; Ajiboye et al., 2012) as microbial products at higher levels tend to reduce feed palatability and digestibility (Kiessling and Askbrandt 1993). However, the growth performance of BF6 and BF8 in the present study were comparable or relatively higher compared to the Con diet, indicating non negative growth effects in shrimp by the dietary biofloc supplementation up to 8%. Shrimp lack specific or adaptive immune system that relies entirely on their innate immune mechanisms including both cellular and humoral responses for defense against pathogens (Vazquez et al., 2009). NBT activity was increased in the shrimp fed BF0.5 and BF4, while significantly higher PO activity was observed in BF6 group compared to those fed the Con diet. It was suggested that shrimp may release some useful substances into gastrointestinal tract that could potentially stimulate innate immune response (especially phagocytosis) and may release more hemocytes into their circulation when they ingested biofloc (Zhao et al., 2012). Some beneficial bacteria such as Bacillus sp. in the ingested biofloc could have facilitate modification of physiological and immunological status of the host through a colonization in the gastrointestinal tract and have triggered to change the endogenous microbiota (Johnson et al., 2008; Li et al., 2009). Ju et al. (2008) noted that both microbial components (Bacillus sp.) and bioactive compounds (e.g., polysaccharides and carotenoids) in biofloc could exert an immune-stimulating effect and this action would be continuous as long as the shrimp consumes biofloc. However, the modes of action of biofloc on innate immune mechanism of shrimp are very complicated and still unknown up to date. Further study is required for more detailed information and knowledge on this. Research on antioxidants has been attracted in aquaculture because fish or shrimp are susceptible to oxidative stress by disease or environmental changes (Liu and Chen, 2004; Castex et al., 2010). Shrimp possess an integrated antioxidant system including enzymatic and non-enzymatic antioxidants to maintain normal oxidant status, especially to cope with natural or induced stressors (Castex et al., 2009; Parrilla-Taylor and Zenteno-Savín, 2011). Generally, the antioxidant capability of an organism under certain condition can reflect its health status. In the present study, increased GPx activity was observed in shrimp fed BF6 diet compared to those fed the Con diet. This result indicates that the antioxidant system of the shrimp can be enhanced by unknown components present in biofloc in some way. Based on its composition characteristics, the biofloc may play a role in antioxidant activity because of its carotenoids and fat-soluble vitamins (Ju et al., 2008) and improve the efficiency of feed utilization by stimulating activities of digestive enzymes because of high protease and amylase activity in biofloc (Xu and Pan 2012; Xu et al. 2012). Similarly, Xu and Pan (2013) reported an increase in total antioxidant capacity and SOD activity of L. vannamei reared in a biofloc-based tanks system. During the challenge test against V. harveyi, significantly higher survival rate was found in BF4 group compared to the Con group. Similar observations were found by Ekasari et al. (2014) where following a challenge test by injection with infectious myonecrosis virus (IMNV) the survival of the challenged shrimp from the experimental biofloc groups was significantly higher when compared to the challenged shrimp from the control treatment. This study indicates that dietary supplementation of a good source of biofloc at 4% level had beneficial effects on growth performance and health status in L. vannamei. 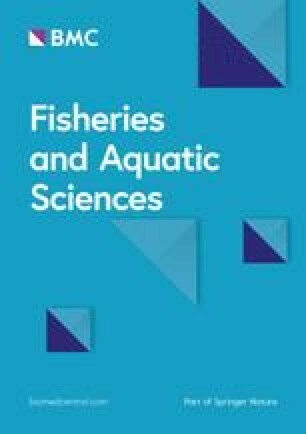 The concurrent increases of non-specific responses of the shrimp fed the biofloc supplemented diets may suggest that the antioxidant defense system and innate immune system could work synergistically to improve the physiological performance of the shrimp leading to higher disease resistance against bacterial challenge. These results also indicate that the biofloc could be practically used as a viable alternative dietary supplement. It seems clear that the potential use of biofloc as a dietary supplement would be dependent upon the process method of the biofloc and the quantity of organic compounds and beneficial microorganism. CR and SH conducted the feeding trial, analysis, and drafted the manuscript. SJ manufactured the experimental diet. KJ designed this study, led in analyzing data derived from this study, and revised the manuscript. All authors read and approved the final manuscript.